Compaction grouting designs are an excellent choice when ground conditions such as loose soil or sinkholes are present on a site. The purpose of compaction grouting, also known as low mobility grouting, is to seal any voids and consolidate the soil in the designated treatment area. 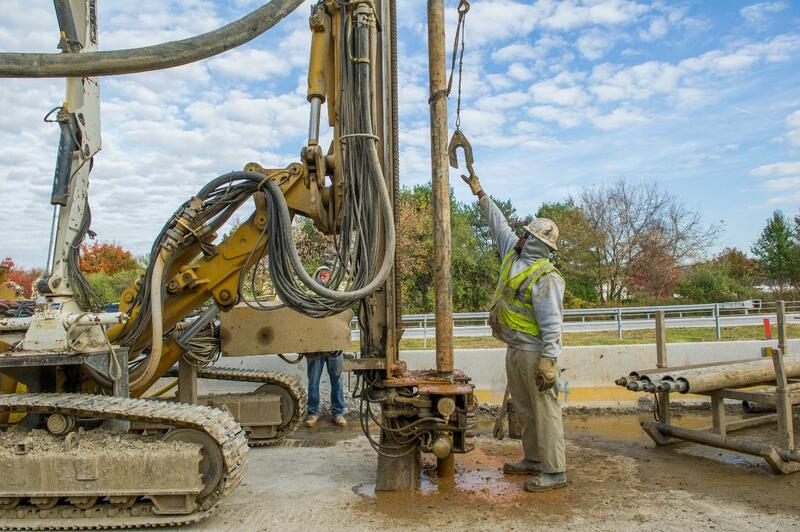 The process involves drilling to a specific depth with casing in the defined areas and pressure injecting a determined amount of grout while retrieving the casing. As the casing extraction progresses, the grout forms bulbs which in turn densify or compact the soil. The process is repeated in secondary areas on the project site if required. Additionally, compaction grouting applications can be tailored to the specific site to meet or exceed the project specifications. The grout mix can be customized to optimize capability and since it is greatly influenced by the in-situ geological characteristics.